I think it’s about time that I quit my day job and head over to Dubai to join the DPSCU – the Dubai Police Special Car Unit. A couple of new videos have popped up on YouTube showing the DPSCU division driving around in a police livery 426-hp Chevrolet Camaro SS Coupe, a V12 660-hp Ferrari FF and the amazing Lamborghini Aventador LP700-4. The lineup even includes the very exclusive Aston Martin One-77 and the Mercedes-Benz SLS AMG. So what’s the reason for driving around in such exclusive police supercars? 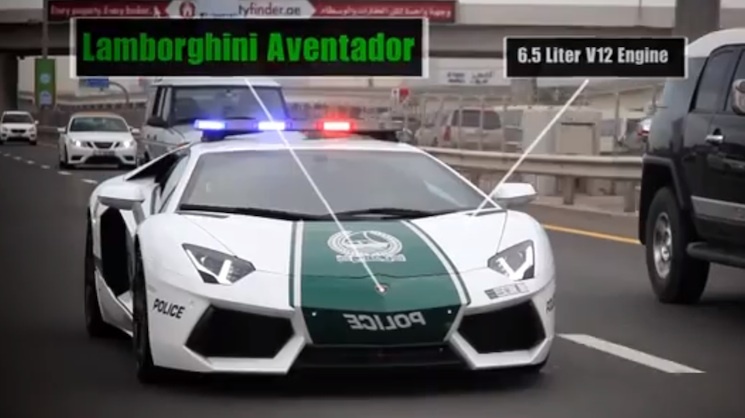 According to Major General Khamis Mattar Al Mazeina, Deputy Chief of Dubai Police, the team upgraded their fleet of cars after receiving a positive response from the worldwide public when the first Lambos hit the road in police-livery.